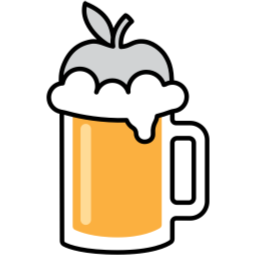 The following commands are used by Homebrew contributors to set up a fork of Homebrew’s Git repository on GitHub, create a new branch and create a GitHub pull request (“PR”) of the changes in that branch. Depending on the change you want to make, you need to send the pull request to the appropriate one of Homebrew’s main repositories. If you want to submit a change to Homebrew core code (the brew implementation), you should open the pull request on Homebrew/brew. If you want to submit a change for a formula, you should open the pull request on the homebrew/core tap or another official tap, based on the formula type. Use brew bump-formula-pr to do everything (i.e. forking, committing, pushing) with a single command. Run brew bump-formula-pr --help to learn more. Fork the Homebrew/brew repository on GitHub. This creates a personal remote repository that you can push to. This is needed because only Homebrew maintainers have push access to the main repositories. <YOUR_USERNAME> is your GitHub username, not your local machine username. 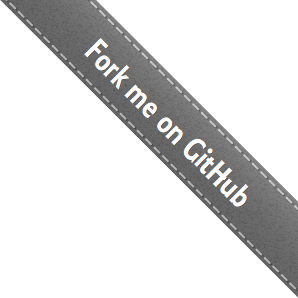 Fork the Homebrew/homebrew-core repository on GitHub. Make your changes. For formulae, use brew edit or your favourite text editor, following all the guidelines in the Formula Cookbook. If there’s a bottle do block in the formula, don’t remove or change it; we’ll update it when we pull your PR. Test your changes by running the following, and ensure they all pass without issue. For changed formulae, make sure you do the brew audit step while your changed formula is installed. Make a separate commit for each changed formula with git add and git commit. Please note that our preferred commit message format for simple version updates is “<FORMULA_NAME> <NEW_VERSION>”, e.g. “source-highlight 3.1.8” but devel version updates should have the commit message suffixed with (devel), e.g. “nginx 1.9.1 (devel)”. If updating both stable and devel, the format should be a concatenation of these two forms, e.g. “x264 r2699, r2705 (devel)”. Go to the relevant repository (e.g. https://github.com/Homebrew/brew, https://github.com/Homebrew/homebrew-core, etc.) and create a pull request to request review and merging of the commits in your pushed branch. Explain why the change is needed and, if fixing a bug, how to reproduce the bug. Make sure you have done each step in the checklist that appears in your new PR. Await feedback or a merge from Homebrew’s maintainers. We typically respond to all PRs within a couple days, but it may take up to a week, depending on the maintainers’ workload. Ask for clarification of anything you don’t understand and for help with anything you don’t know how to do. Post a comment on your pull request if you’ve provided all the requested changes/information and it hasn’t been merged after a week. Post a comment on your pull request if you’re stuck and need help. A needs response label on a PR means that the Homebrew maintainers need you to respond to previous comments. Keep discussion in the pull request unless requested otherwise (i.e. do not email maintainers privately). Do not continue discussion in closed pull requests. Do not argue with Homebrew maintainers. You may disagree but unless they change their mind, please implement what they request. Ultimately they control what is included in Homebrew, as they have to support any changes that are made. Make any requested changes and commit them with git add and git commit. If you are working on a PR for a single formula, git commit --amend is a convenient way of keeping your commits squashed as you go. Once all feedback has been addressed and if it’s a change we want to include (we include most changes), then we’ll add your commit to Homebrew. Note that the PR status may show up as “Closed” instead of “Merged” because of the way we merge contributions. Don’t worry: you will still get author credit in the actual merged commit. Well done, you are now a Homebrew contributor!